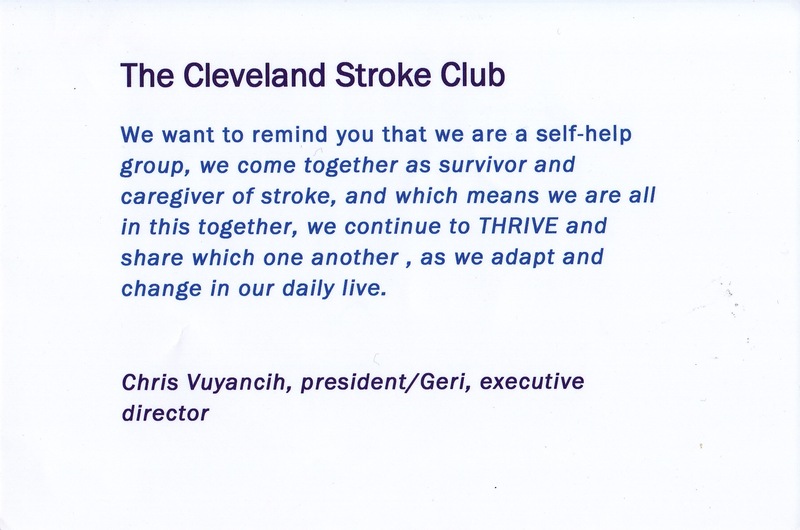 The Cleveland Stroke Club was founded in 1974 by William M. Pitts at Highland View Hospital. The mission of the Cleveland Stroke Club is to enhance the lives of stroke survivors and their families through support, fellowship and socialization, education and advocacy. Provide information on community resources. We are a self-help group, we come together as survivors and caregivers of stroke, and which means we are all in this together. We continue to thrive and share with one another, as we adapt and change in our daily lives. Every stroke is a brain injury, every brain injury is not a stroke; however we think any person, any age, with any type of neurological brain challenge is invited and encouraged to visit and join us for a support group meeting.